Drag queen and reality star best known as a member of the top three in the third season of RuPaul's Drag Race. Before competing in RuPaul's Drag Race, he was a dancer and performer at Disney World. He won many pageants including Miss Florida US of A, Miss Orlando, and Miss Florida International. He made a guest appearance on RuPaul's spinoff series Drag U in it's third season. 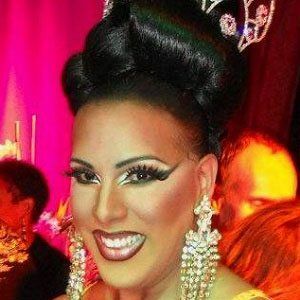 He was born as Carmina Alexis Mateo Pacheco in Florida, Puerto Rico. He competed against winner Sutan Amrull in the third season of RuPaul's Drag Race.